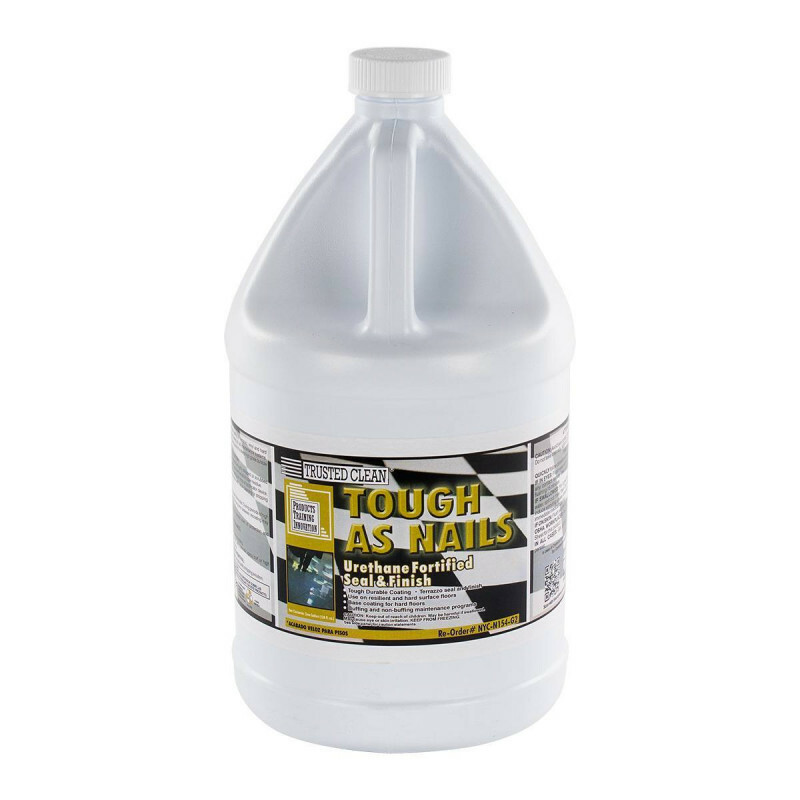 Trusted Clean 'Tough as Nails' is a urethane fortified seal and finish for terrazzo, vinyl, and hard floors. Excellent seal and base coating for all maintenance systems, including both buffing and burnishing programs. Dries quickly to a deep high gloss durable finish. Extremely durable, yet retains a nice shiny finish. Each gallon of this 22% solids durable floor finish will cover approximately 2,000 to 2,500 square feet. If a floor requires for 4 coats for a satisfactory durable finish. This two gallon case will cover approximately 1,000 square feet, with 4 coats. This fortified seal and finish can be removed by using one of our high quality stripping solutions. We recommend < ahref="/floor-scrubber-accessories/floor-care-solutions/floor-buffing-solutions/floor-wax-polishing-solution.html">'Restore' floor polishing solution for general upkeep and polishing in between strip cycles. For additional options, please feel free to check our complete line of floor finishes that we have to offer. Apply to clean floors that have been thoroughly stripped or scrubbed and rinsed. If the floor has been stripped, remove all stripper residue, and rinse. Use a high quality pre-rinsed finish mop or applicator device. Do not contaminate mops/applicators with other cleaning, or stripping solutions. Apply a full even coat. Allow coating to dry for approximately 30 minutes. During periods of high heat and high humidity, additional drying time between recoating may be necessary. Apply additional coats for the desired level of protection and appearance. Most floors require a minimum of 4 coats. 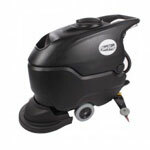 Dust mop or sweep floors daily. Use a neutral cleaner for daily damp mopping. This coating can be maintained using periodic spray buffing, with a low speed machine, or a polishing program with a high speed burnisher. Use in combination with our floor restoring solution to prolong the life of your floor finish.